When you come to Pullen Comprehensive Dentistry, you’ll find a team of qualified dentists, ready to help you with any dental issue you may have. Choose us for all your dental needs! From cosmetic dentistry to dentures and Invisalign, we have the services you need for a brighter whiter smile. Read on to learn more about our comprehensive dental services. We are always looking to save you time and not tie up your day. See our dentist faster by printing out and filling out our patient forms before you arrive. We look forward to providing the dental care you and your family need. Check out our directions and visit us for your appointment today. 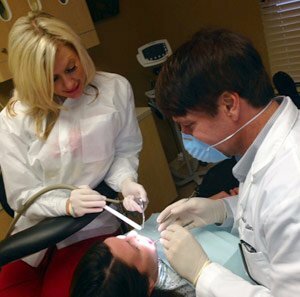 For three generations, the family-operated Pullen Comprehensive Dentistry has been serving the Huntsville community with gentle, family-friendly dental services. Our family began our practice in 1942, and since then, we have gained a sterling reputation by providing the very best dentist for children and adults. We are dedicated to each patient’s health, as well as his or her comfort in every procedure, from a simple checkup to a root canal. We look forward to helping you. As one of the largest dental practices in the area, we offer complete general dentistry and are committed to your exceptional oral health. Our caring dentist team is available for you and your family to relieve tooth pain and restore your smile. Don’t trust your dental care to anyone else. Contact us today to schedule your appointment! © 2019, Pullen Comprehensive Dentistry. All Rights Reserved.